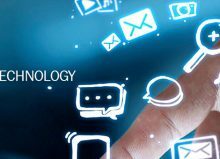 Recent technology has transformed the entire workplace for betterment. And the same goes with recruiting procedure. Those days are long gone when recruiters used for post ads in newspapers, just to find the right candidate for the firm. 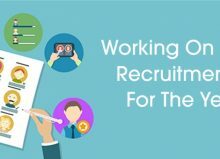 With the help of Applicant Tracking system or ATS along with job seeker market’s emergence, recruiting norms have entirely changed. 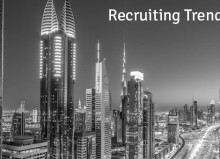 Therefore, recruiters are recently forced to change their approach, as well, if they are willing to fill the vacancies with reputed candidates. 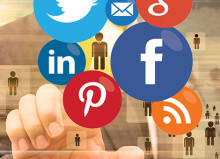 With the emergence of social media, global markets, and analytic tools, the entire business of recruitment has changed. Not just for hiring new employees, but also for even retaining some, the methods are now different. It is more far-fetched and can be easily used for finding the desirable candidates. It further helps in expanding recruiters’ reach. But, that might have provided hard ways to replace the present old sourcing problems. To know the different between old recruiting and new recruitment procedure, it is mandatory to learn a bit more about the procedures first. That will help you to make the right decision and understand more about the changes. In the old versions, recruiters used to go behind candidates in certain areas, where candidates are more prone to look for jobs. Some examples are listing pages and job sectors in newspapers. Furthermore, some time ago, active candidates were defined as the major source for some new hiring. Employees with a minimum of 10 to 20 years of working experience in the same company, will be given the opportunity to choose some futuristic candidates for the companies They can even ask anyone in their family or friends to come and opt for the job. Due to the bulk amount of potential candidates, who are just willing to start their careers or pros, recruiters have to work on job openings into places for hunting candidates. And it is an undeniable fact that newspaper advertisements are quite expensive. But, you can be easily guaranteed to receive some qualified candidates for your recent job openings, around here. Wherever the job seekers are, the candidates need to be present. For that, some of the job oriented networks can be the best medium for them. At this present moment, average employees are staying with the employers on an average scale of 4.2 years. After that, they are moving towards a new opportunity and better salary packages. However, with so many job opportunities and promising companies popping up these days, some employees are willing to stay less than three years with their present companies. And with such surge in employment, this number is said to decline too, with passing time. With maximum employees leaving their employers for better salary packages and extra advantages, a greater percentage of the potential workforce is always part of another firm. These candidates are currently working as passive. They are just waiting for that right call, where they are willing to take that leap. For that, the payoff needs to be great. As passive candidates are not quite looking for jobs, therefore; they are not quite into newspaper means. They believe in social networking mediums and word of mouth, before taking the perfect leap. 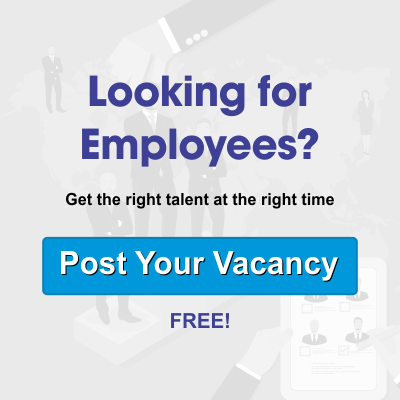 So, it can be well-defined that the new recruitment methods can help you to find the best passive candidates for your current vacancy in companies. Under the old recruitment procedure, after establishing connections, candidates are excited to apply for the position. There are various types of candidates chosen, and it’s the final call of the company, to find the best one among the lot. But, when it comes to new recruitment methods, only the top candidates are chosen in the first place. Multiple recruiters are here to pursue top candidates. They might even look for some candidates, who are not even planning for a change right now. That will lessen the work of main company, and they will get plenty of options among best candidates, to choose from. Even though you cannot deny the importance of old recruiting methods, but those are not much in use, these days. At present, without modernized recruitment techniques, finding the right candidate is a difficult job, and somewhat impossible to follow.